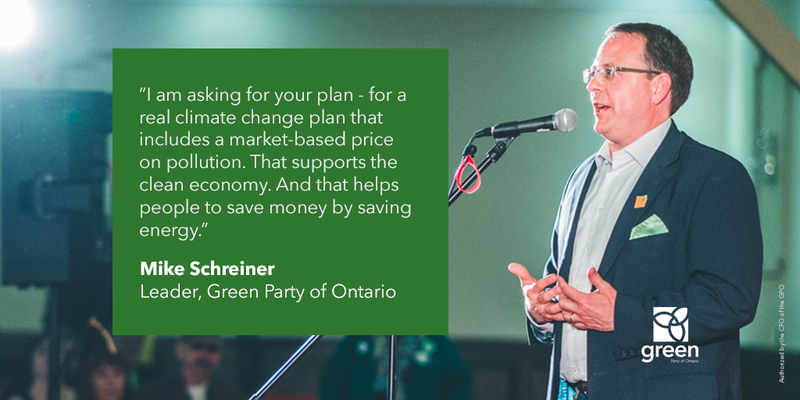 TORONTO, ON — Today, Green Party of Ontario Leader, Mike Schreiner, called for a transformation of Ontario’s healthcare system towards one that doesn’t just treat illness, but prevents it in the first place. 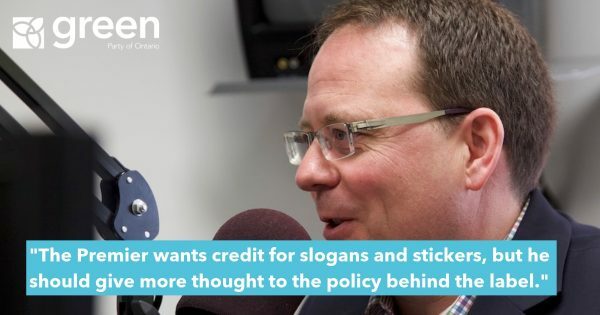 This followed an appearance on TVO’s The Agenda with Steve Paikin, where Schreiner criticized the status-quo parties for their short-term thinking. “The status-quo parties continue to focus on the symptoms of our healthcare crisis at the expense of addressing the real drivers. 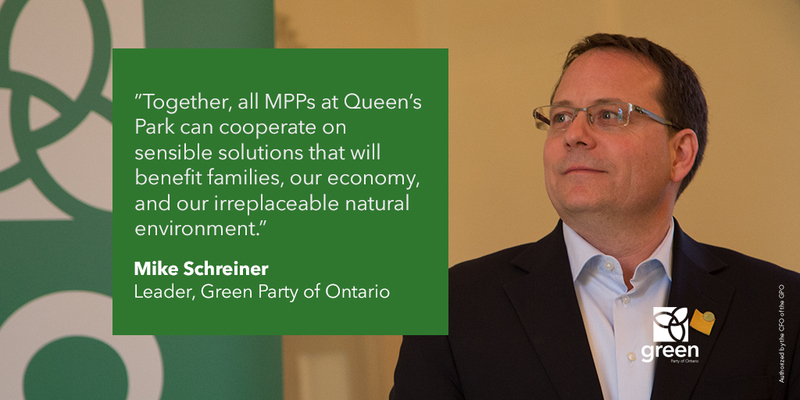 Greens are putting forward a plan to get at the root causes of our overcrowded hospitals,” said Schreiner. 47% of Ontarians reported visiting an emergency department in 2013 for a condition they thought could have been treated by their primary care provider if they had been available. While the PCs, Liberals and NDP rely on band-aid solutions, Greens are suggesting a paradigm shift in the way we look at health to focus on prevention. The party is proposing an historic $4.1 billion investment over four years into mental health as a first step to making mental health services part of OHIP+, as well as removing the HST charges from accredited private mental health service providers during the transition to full public delivery of mental health services. “It is unacceptable that 12,000 children and youth are on a waitlist for mental health services. 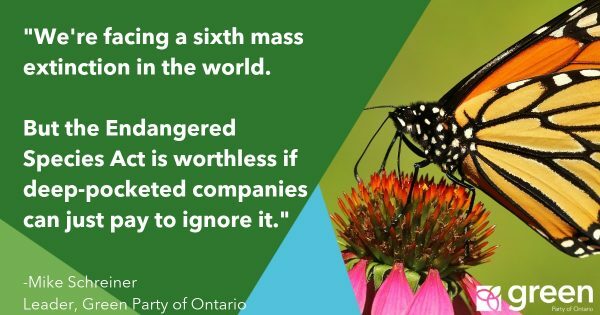 There is a mental health crisis in Ontario, and we must act now. 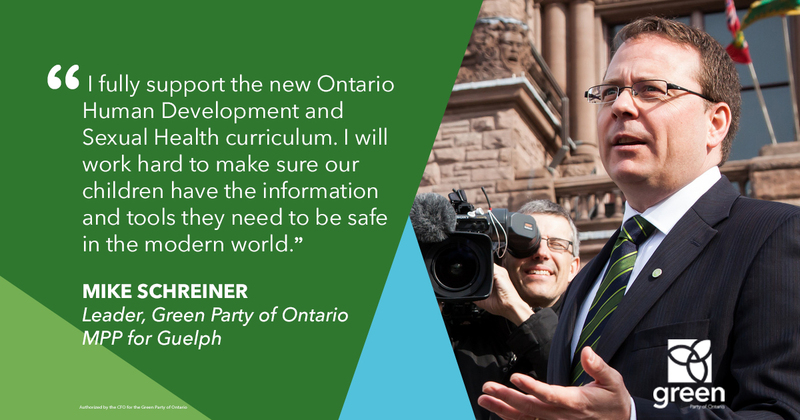 Investments in people’s mental wellness today will save us money many times over in the future,” said Schreiner. 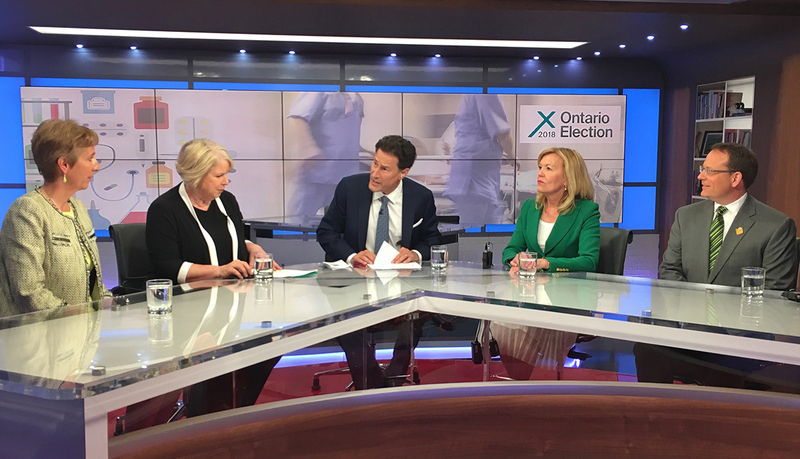 The Green Party will increase the number of Nurse Practitioner-led Clinics in the province and step up other primary care models like family health teams, community care centres, and Indigenous health access centres. 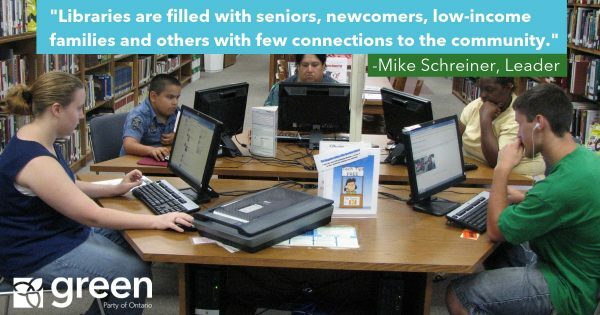 “Our acute care resources are stretched beyond belief and the only way to sustainably relieve this burden is to invest in the community-level services that can better reach people before a health issue turns into a crisis,” said Schreiner. “We need to start embedding the social determinants of health into our approach – food security, environment, education, income level. The real causes of poor health are effectively ignored by a sick care system that only kicks in when a problem comes through the hospital door,” he added. Schreiner is calling on the province to emulate BC, which spends three times more on illness prevention and health promotion and leads the country on most health outcomes. “Cardiovascular disease, cancer and diabetes – we can save money and reduce the rates of these illnesses by prioritizing healthier communities. It’s time.” said Schreiner.